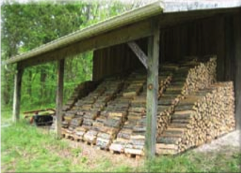 Firewood can be an economical and environmentally responsible fuel for heating your home. Stored solar energy in the form of firewood has historically been humankind’s most available and commonly used fuel. Nothing beats the warmth of a wood fire on a cold winter’s eve. To help halt the spread of invasive, tree damaging insects, acquire your fire- wood from local sources. Firewood cut from fresh trees or trees recently infested by insects and disease can contribute to the spread of pests to nearby healthy trees. Transportation of invasive insects through firewood enables them to spread and infest more trees. One such pest, the emerald ash borer, has destroyed millions of ash trees since its discovery in Michigan in 2002. Emerald ash borer (EAB) is a non- native beetle that infests and kills North American ash tree species, including green, white, black and blue ash. “The insect is a tremendous tree killer,” said Steve Katovich, forest entomologist with the U.S. Forest Service. Discovered in southeastern Michigan in 2002 and also established in neighboring Ontario, it has already destroyed many millions of trees. EAB has since been reported in Illinois, Indiana, Missouri, Ohio, Ontario, Pennsylvania, Quebec, Virginia, West Virginia, Wisconsin, and just this year in Kentucky, Minnesota and New York. To combat the continuing spread of the emerald ash borer, the U.S. and Canadian governments, as well as several states, provinces and other jurisdictions have imposed restrictions on the transportation of firewood. Infestations of tree-killing insects and diseases often are first found in campgrounds and parks. People accidentally spread invasive species when they bring firewood along with them. Many articles and books about burning firewood contain charts listing heat values of various types of wood. And wood burners in some regions have biases for or against one species of wood or another. You really don’t need to be concerned too much about that. Whatever natural wood is available is your area is probably okay to use. All woods, dried to the same moisture content, contain roughly equivalent heat value per pound from 5,500 to 8,500 BTU for air-seasoned wood. In general, dense hardwoods such as oak, hickory and sugar maple offer the most heating value per volume of wood. Softwoods such as various species of pine and fir tend to be lighter in weight per volume when dried, and thus offer less heat per volume of wood burned. However, people in extreme climates such as northern Canada and high in the Rocky Mountains may have only pine to burn and manage to heat their homes quite well. Extremely “pitchy” or sappy pieces of pine should be discarded or used exclusively for kindling as they may burn too hot. 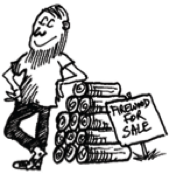 “I always tell people that the best firewood is free firewood and the second best is cheap firewood,” says Ron Brigman, an experienced, Certified Chimney Sweep® in South Carolina who heats his home with wood. If you have a choice, lighter woods can be used for fires when you just want to take the chill off. Denser woods are preferable for long burn times. Besides density, woods vary in other ways that affect their desirability as firewood. Ease of splitting, speed of drying and coaling qualities may be considerations if you have a choice of species to burn. Painted or chemically treated woods should not be burned because they release toxic fumes. To reduce the chances of bringing an invasive insect pest into your neighborhood, remember to ask if the wood you are acquiring comes from local trees. Your professional chimney service specialist is a good source of information about the firewood available in your area, and is ready to help you enjoy your winter fires. Your chimney sweep may be extremely busy throughout the autumn and winter months, so plan ahead and schedule an appointment early. Reprinted, with permission, from the September 2009 issue of The Chimney Sweep News, an independent trade magazine for chimney service professionals. Jim Gillam, editor/publisher. 541-882-5196.